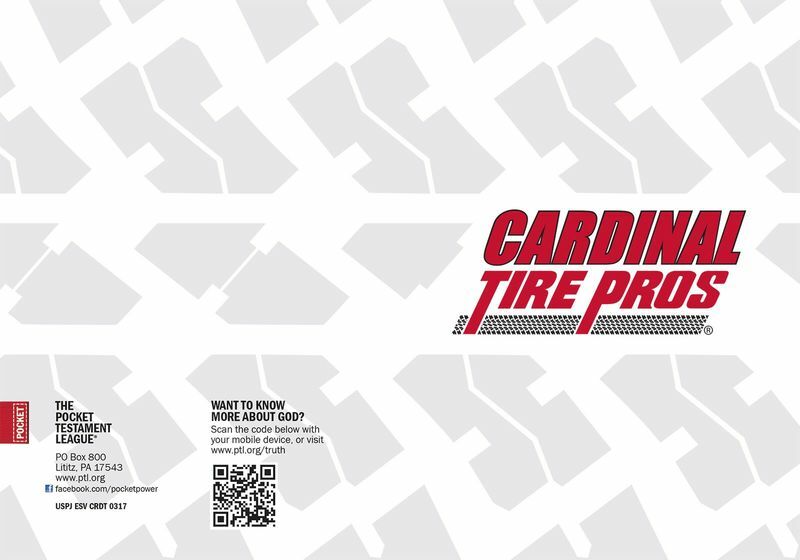 This Gospel of John was created in partnership with Cardinal Tire Pros in Salisbury, North Carolina. This company has years of experience in helping people find the best parts and products at the best prices. Their mission to make your experience both beneficial and enjoyable. They strive to impact people in their circle of influence each day. This sharp Gospel cover was designed as a tool to reach those people.